Who can view Employee Documents? Documents can be made public or private. When you add a document, you define to whom the document is shared. If you share the document with "everybody", all employees are able to access the document under their profile. When sharing a document with an individual employee, such as a contract, you can specify if and which managers are also able to view the document under the employee's profile. Here, a document being uploaded by the Admin is being shared with Joanna, Kaspars and Jānis. 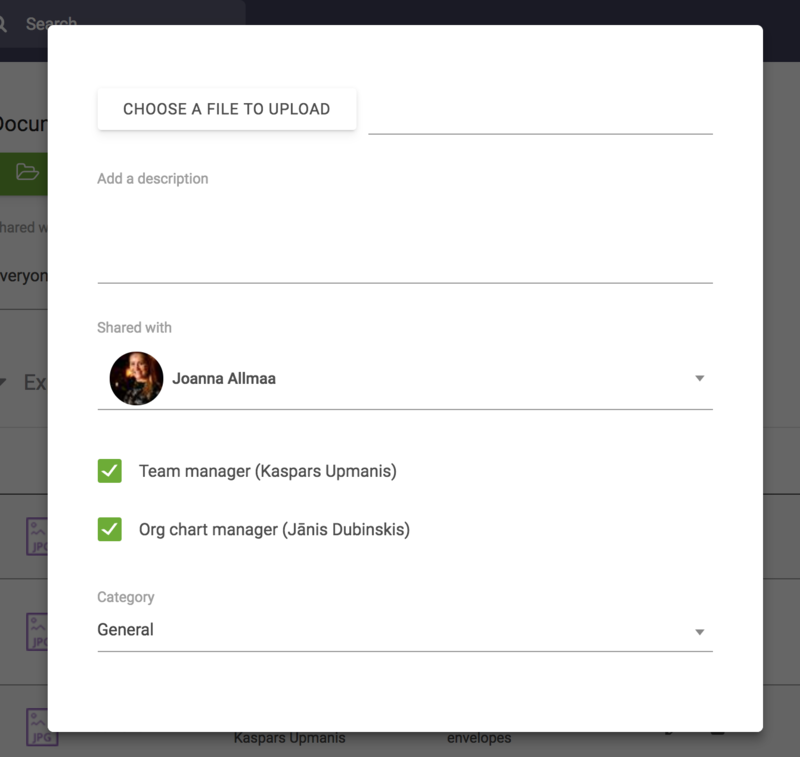 Org chart and Team managers, if they have access to view certain document, will be able to view them under employee profiles > Documents tab. Administrators have full access of all documents.